Home did not flood!!! 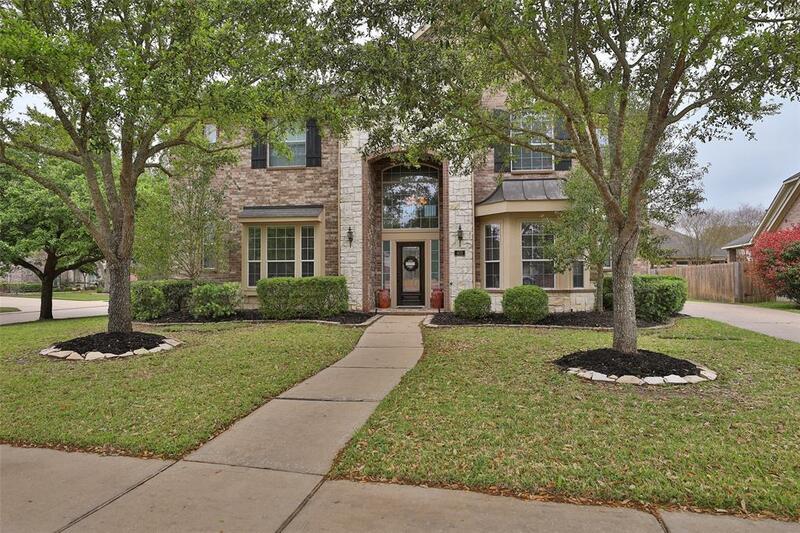 Beautiful home on a corner lot with gorgeous curb appeal in Rivers Edge! 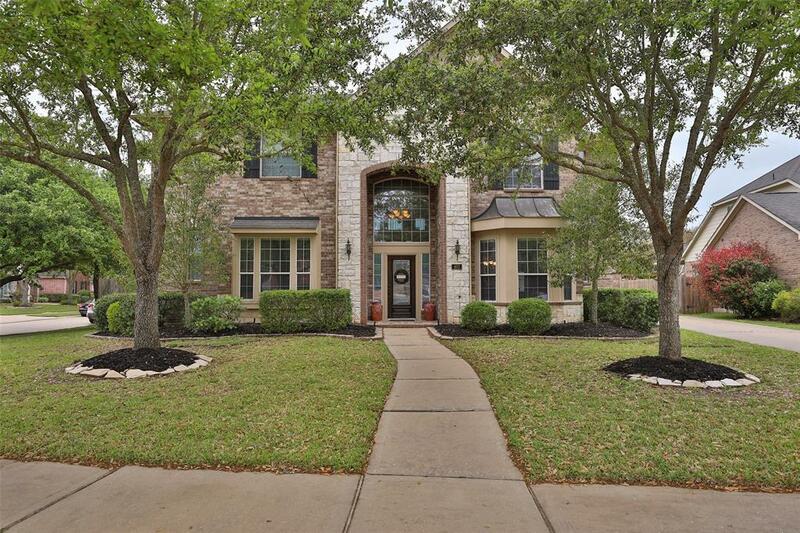 The moment you walk in you are greeted with Soaring ceilings, a wrought iron staircase, formal dining and formal living, tile floors through out, granite counter tops, stainless steel appliances, walk in pantry, very spacious laundry room, custom built ins in the family room, over sized master bedroom and bathroom includes his/her vanity sinks, his/her closets, and a spacious whirlpool tub. Upstairs features a large game room, 2 full bathrooms (one Jack/Jill) and three spacious bedrooms with walk in closets. 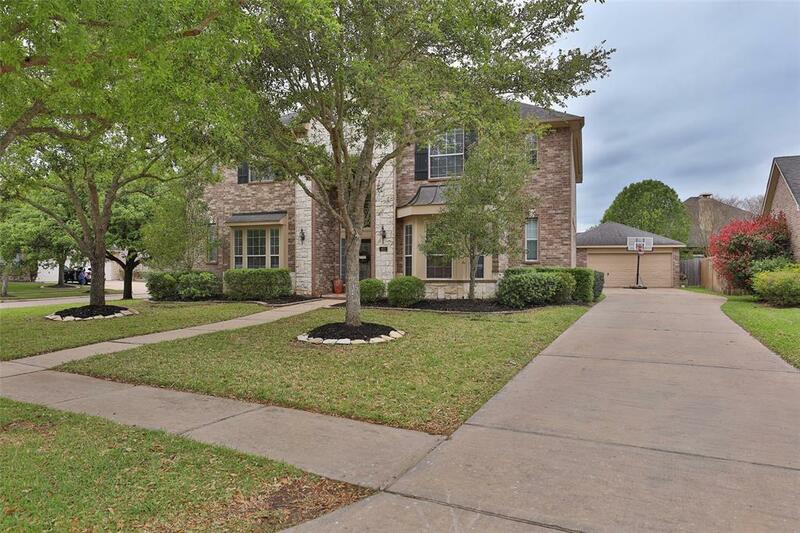 Covered patio, beautiful landscaping and an extra long driveway that leads to the detached 2 car garage. 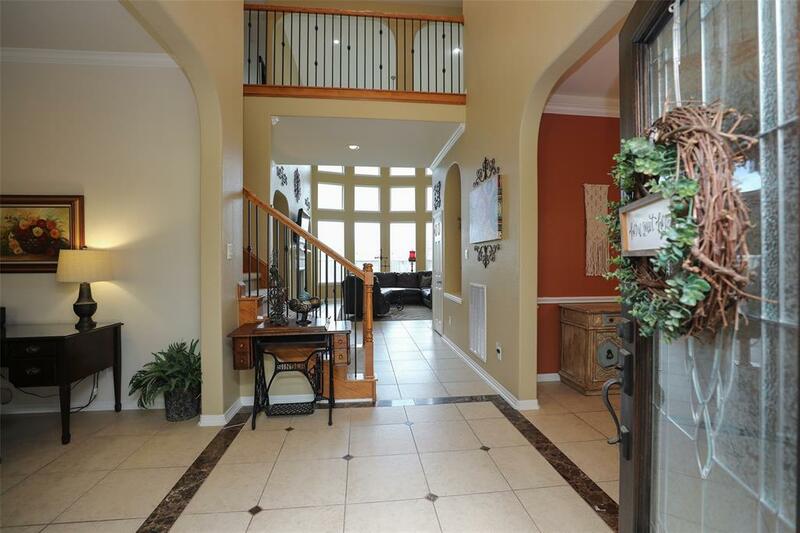 The home features a very open concept that is great for entertaining! The owners have taken such pride of ownership in this home and it shows!